Trust seeks help from public to restore Alexander 'Greek' Thomson feature in Glasgow. An appeal is being made to the general public for any drawings, photographs or images they might have of the Sixty Steps, a little known feature in Glasgow's west end. 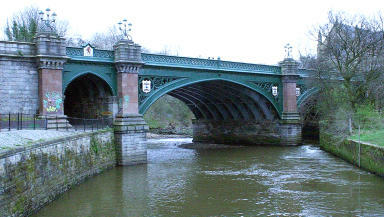 Designed by the architect Alexander 'Greek' Thomson, they provided a through route from the north of the city to the original bridge over the river Kelvin. Now, the trust that owns the steps says the public could help with efforts to restore them to their former glory by providing images of the steps over the years. Estimates for the work run into seven figure sums but one of the architects working on proposals is passionate about the value of the Sixty Steps to the city. Karen Anderson said: "There's nothing like them, they are fundamentally important because there is nothing like them, certainly not in Glasgow and there's no equivalent in Edinburgh so it's a great project from that perspective." The steps are in such a state of neglect that last winter several of them collapsed completely leading to this area being closed off to the public. What those who are trying to save them fear most is that they will go the same way as some of Alexander Thomson's buildings and be lost to the city for good. By raising awareness of the steps, campaigners hope to further protect the legacy of the visionary architect whose work still brings visitors to Glasgow. Anyone with images can contact the trust via their website.